At top: On location in Iceland, Paul Atkins, ASC (left) frames a shot alongside AC Stuart Macfarlane while filming the “creation sequence” for The Tree of Life with an Imax MSM camera. Above: Second-unit cinematographer Paul Hughen, ASC on location for 12 Strong. Second-unit crewmembers are among the unsung heroes of production. Generally speaking, the 2nd unit will shoot anything that doesn’t involve the primary talent or that takes a considerable amount of time to complete. Establishing shots, inserts, cutaways, aerial footage, b-roll, stunts, effects, miniatures — all of this and more can land within the 2nd unit’s purview. The 2nd unit works in conjunction with the 1st unit — aka the main unit — sometimes in parallel with, other times ahead of or behind it. In some circumstances, the main unit will shoot out a scene’s principal performance aspects, and then the 2nd unit will “clean up” the scene, capturing inserts and cutaways. Compared to the main unit, the 2nd unit typically comprises a reduced crew: a director; a cinematographer; and a gaffer, grip and AC as necessary. At times it can be a one-person crew; alternatively, if the shooting involves complicated stunts, it can be nearly a full unit. 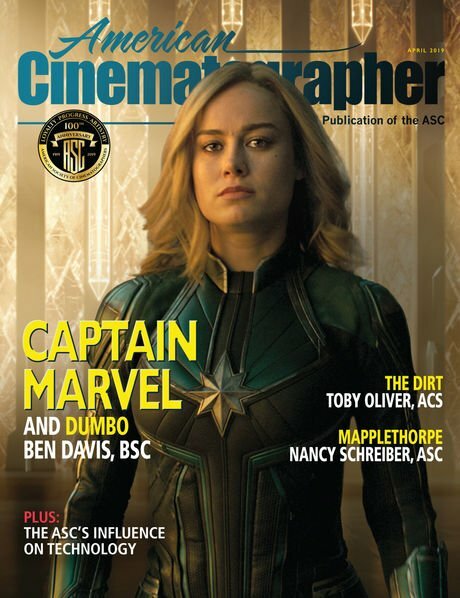 For further insights into the work of 2nd-unit cinematographers, AC caught up with three masters of the craft: ASC members Paul Atkins, Josh Bleibtreu and Paul Hughen. Josh Bleibtreu, ASC (right) and director Jack Gill tackle 2nd-unit work for the feature Black & White: The Dawn of Justice. American Cinematographer: What’s the biggest challenge for you on 2nd unit? Paul Hughen, ASC: The most challenging aspect of 2nd unit is shooting and delivering footage that is seamless in continuity and look with the main unit’s. The style has to be in keeping with what the main-unit director and director of photography have envisioned as a final product. 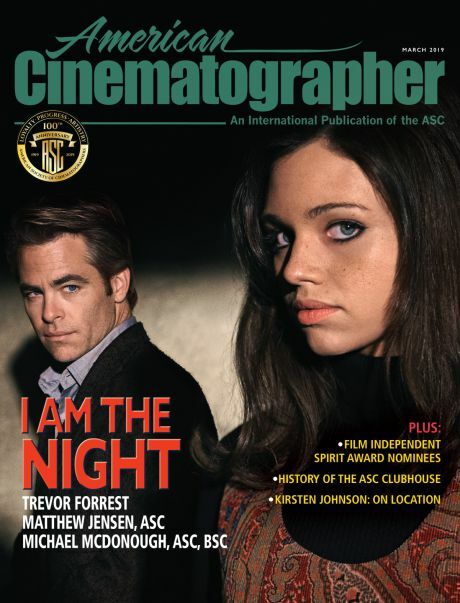 Paul Atkins, ASC: The lighting, camera angles, camera movement, lens choice, etc. must all match the 1st unit. It’s less about mimicking the style of the main-unit DP and director, and more about learning to intuit their preferences for the look of the film, so it eventually becomes second nature. At first, this can be a difficult challenge, especially if it’s your first time working with the DP and director. Hopefully, by the time the pace of production accelerates and everyone has less time, you’re in tune with the director’s vision and DP’s approach, and a level of trust has developed. Josh Bleibtreu, ASC: You have to think about adapting your style to match the other DP’s. You need to think of how the shots you are doing are going to fit into the film — what is the previous cut, and what is the following cut? You have to adapt your style so that it’s seamless and not out of left field. Atkins: I’ve shot 2nd unit for [ASC member Emmanuel] ‘Chivo’ Lubezki and [director] Terrence Malick on several features, and they developed a rather strict photographic ‘dogma,’ which demands that everything be shot in deep-focus with wide-angle lenses, always in backlight. For them, a 24mm was a ‘long’ lens! Camera movement was always in z-axis, and pans were discouraged. Malick assiduously avoided the traditional ‘Burbank way’ of framing and shooting. Learning Chivo and Terry’s stylistic approach was difficult at first, but soon I internalized it, and it changed the way I see light and frame images. How do you communicate with the 1st unit to make sure you understand their intent? Hughen: Once the main-unit assistant director and the 2nd-unit assistant director have finalized their schedules, then it’s easy to break down scenes shot-by-shot so that both units can see exactly what the two units are shooting. Second unit’s schedule generally commences shortly after the main unit has started their photography. This is a huge advantage to the 2nd-unit DP. I often find myself lurking around the 1st-unit set, taking notes and speaking with key members of the crew. I try not to get in the way of 1st-unit DPs, but if I catch their eye and they don’t appear to be too busy, I’ll rattle off a few questions that I might have. If the main unit is shooting on a stage that I will take over in the coming days or weeks, then multiple set visits could be in order. Most of the time, the main-unit DP wants to answer questions and help the process, but timing is everything. Some days, questions regarding lighting are best left for a half hour before call time or at lunch. Atkins swings an Imax camera into position in Arizona. Atkins: It’s as important to understand why a shot or sequence is needed as it is to know how to do it. Hang out on set with the main unit for a couple of days, especially at the beginning of production. Watch the 1st unit’s dailies whenever possible. Listen to the cinematographer’s and director’s comments — which shots they like or don’t like, and what shots they feel are missing and are needed to complete a sequence. Listening is key! Bleibtreu: I watch their dailies religiously. I try to visit editorial, if I can, to see any cut footage for reference. If you have a rough cut with slugs put in for the missing shots, that’s great, because it helps you think of pacing for the shot you’re doing. Shooting options is always good for giving the director and editor choices, but if you educate yourself about the work, then you can listen to your instincts. Hughen: There often isn’t time to shoot a scene with different options, so it’s best to get it right the first time you shoot it. ‘Getting it right’ means doing your homework and finding out exactly what the main-unit director and DP want from what you are shooting. If you’re shooting moving background plates, what are the angles of the plates? Many times I have sat on the main-unit set with lenses, a director’s finder, and the vehicle that the actors will be driving in. It’s a short walk over for the main-unit director and DP to map out the angles for shooting the actors in front of the greenscreen. Then, it’s a simple process with our camera car, with cameras attached either in an array or pointed in the direction that 1st unit has requested. At this point, visual effects is on-board with their requests for camera tilt, focus, focal length, etc. Are we creating an array, where two to three images are overlapped so that a wider, ‘panable’ shot can be achieved in post? All of these questions need answers. It’s too expensive to come back a second time and re-shoot because we forgot a background-plate angle. Bleibtreu: I always ask the camera assistants to please include lens info on the 1st-unit slates so that I can get a feel for their lens choices. Sometimes I’ll ask for someone to make up lighting diagrams of their setups, and I’ll get photos of the setups if I can. Bleibtreu and crew film with a real helicopter on the action-comedy Tropic Thunder. Atkins: Lighting diagrams are great, but not all DPs are into them, and I often find that the main DP is too busy to draw them up. Watch the way the DP lights on 1st unit’s set. Stay in touch with the 1st-unit gaffer and ask what lamps, etc. they use for key, fill and so on. If you’re on ‘cleanup’ duty and shooting inserts, it’s not always possible to see the footage you’re matching. Ask editorial to provide you with screen grabs of 1st unit’s dailies on an iPad for continuity. Shooting effects shots is all about a lot of precise measurements. Storyboards are important if you’re shooting plates for visual effects. Communicate with the effects supervisor regarding focal length, camera height and angle, and other measurements. Study any previs they can provide. Bleibtreu: Previs can be useful to bridge two units together for action sequences, but be careful to not follow them as a ‘bible.’ They should be used only as a guide. What can the 1st-unit cinematographer do to help you better execute your job? Bleibtreu: Make sure that we get the lens, filter and stop info. It’s best if they put it on the slate so that it doesn’t get lost and we can quickly see it in the dailies. It’s also important to communicate any potential problems or special equipment that they feel you might need. Hughen: It’s important that both units have access to one another’s dailies. Now that footage is quickly posted digitally online, on a Monday night 2nd unit can view footage that main unit shot Monday morning. The DIT from 1st unit will share information and LUTs that the main-unit DP has created, so that during shooting, the images will have the same look. It’s very important that the two DITs and the gaffers on both units speak regularly and have the ability to communicate via phone at a moment’s notice. Atkins: Communicate, communicate, communicate. Take time to view 2nd-unit rushes at dailies, and give honest feedback. Of course, it’s often not possible because of the pace of production and lack of sleep. What’s your ‘saving grace’ in your work? Hughen employed this plate vehicle for his work on the 2015 feature Vacation. Bleibtreu: A good line producer and crew. You need a strong relationship with the 1st-unit crew — the gaffer, key grip, 1st AC, camera operators, video-assist people, editors. They’re all your allies. If you know them and they respect you, it can go a long way toward helping your work fit perfectly into the film. Work with your 1st AD to properly plan out your days to get the best light possible. Atkins: Surrounding myself with a talented, enthusiastic crew is key for me. Coffee is a close second! Hughen: I’ve been very lucky with my camera crew. I’ve had the same focus puller for a dozen years, which makes it easy on me. He knows the gear that I want prepped, and having someone familiar with the fast-moving nature of 2nd unit is a real bonus when we add five more cameras for a sequence. And on a 2nd unit, a camera operator who can follow action and knows when he’s got the shot is invaluable. Are there any specific tools that you regularly use? Atkins: I often work on low- or medium-budget productions, and usually the main obstacle is a lack of equipment. Sometimes we’re sharing a lens package with the main unit, and of course they have priority — but you’re still expected, somehow, to get your job done! You may need to borrow a dolly or gimbal from the main unit to execute a move. Make friends with the 1st AC and key grip on main unit; they’ll know what is needed and what can be spared on the day, and they can be your greatest ally in getting the gear you need. Bleibtreu: My motto is to always be proactive rather than reactive. Plan three to four shots ahead so that you can leapfrog gear and crew. Another mantra is to always try and find the shortest path of least resistance to get your shots. Don’t over-engineer or overthink it. I’m not a fan of trying unproven tools on big jobs; I need to know that whatever I bring to the job is going to work reliably, and that someone on the crew is familiar with the gear and can fix it if something starts to go south. There are a lot of toys out there; sometimes you need a Libra head or a Technocrane, but sometimes a camera on a sandbag is the best choice. I have been using an iPhone app called Theodolite by Hunter Research & Technology; it’s helpful during scouts to confirm the compass headings and height of ridges or buildings — how many degrees they are above my current location. I’m also a big fan of [Chemical Wedding’s app] Artemis Pro, which I use constantly on scouts to confirm shots. I also use [Chemical Wedding’s] Helios sun tracking; that software is amazing. And I track the weather constantly — clouds, sun, changing seasons. My go-to is [the website] Weather Underground, as they have a good 10-day advance forecast with custom settings to include cloud-cover predictions. 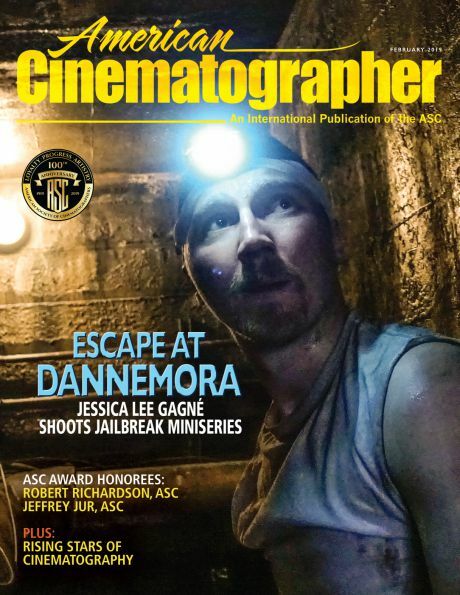 Do you have any final thoughts for current or aspiring 2nd-unit cinematographers? Bleibtreu: The 1st unit may have shot scenes in a different season, when there were leaves on the trees, and when you get there they’ve all fallen off, or vice versa. It’s a challenge to match a scene when it’s a completely different location. It’s always a challenge to find organic and not-obvious ways to hide the faces of photo doubles. You also need to find out exactly what is needed. You often have a number of people telling you what they think is needed, and you have to cut through it all and find out what is really needed for the cut. Matching existing photography can be like forensic science. You first look at the lighting. Is it sharp or soft? Where are the shadows? What direction is the light coming from? Then you look at the camera angles and the lens choice. What was the height of the camera? How did the camera move? You’ve got to study background details, because small details can make a huge difference. You’ve always got to know where the cut point is. How will the shot be used? Don’t waste time trying to improve or fix parts of the shot that aren’t needed — and don’t let your ego get in the way. Hughen: Anyone who doesn’t aspire to match to the main unit shouldn’t shoot 2nd unit. All of the information is generally available. Storyboards, previs, schedules — it’s attainable. Hopefully there is some degree of prep; that is when most of the questions are answered regarding lighting, performance, VFX, etc. Atkins: I love shooting 2nd unit. You work with small, dedicated crews, away from the sometimes-political complications of the main unit. And you get to learn from master DPs and filmmakers!